Back in 1975, top trades people installed an average of about $10,000 worth of materials a month on commercial building projects. Fast-forward thirty years and this figure has doubled thanks to a quantum leap in tool technology and the building systems they make possible. Never before have professional trades people and serious owner-builders had access to the kind of high output tools available today and it shows. This is why worker productivity is high and rising. Great tools also mean that building success has never been more achievable for the non-professional. Effective tools replace part of the need for building skills that used to take years to acquire. And while all this is good, there’s a problem. In a world pumped up with marketing hype, choosing the best tools isn’t always easy. Helping you discern between claims that are real and those that aren’t is where this article helps. It points out four main areas of tool technology that really are revolutionary. So if you’re interested in leveraging the time you spend building, start with these. Of all the factors behind the explosion in construction productivity and quality, cordless technology is a big part of the gain. Once you have the option of replacing a cord with a high-output battery pack, a lot of good things become possible. Another factor behind the tool revolution is declining cost. 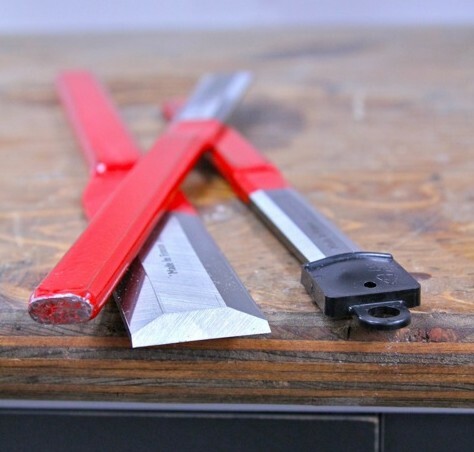 For the same price you would have paid for a basic chopsaw that couldn’t crosscut anything wider than a 2×6 in 1985, you can now get compound angle capability, laser cut guidance and sliding crosscut features that can handle a 2×12. If you’ve got more than a handful of screws to drive in your next project, then a cordless impact driver will improve the speed and quality of the job. All major manufacturers now make models and they’re better than ordinary drill drivers for two reasons. The first is ease of use. Impact drivers do more than just spin when they operate under load. The action of an impact driver rotates the driver bit part of a turn forward, then backs off slightly before rotating forward some more. This action happens many times a second, creating the characteristic machine gun sound of an impact driver under full sail. This forward-backward motion resets a screwdriver tip in the screw head several times a second, greatly reducing the chance that the driver will spin in the screw and round out the head. Power is another reason impact drivers rule the screw driving game. The internal drive system delivers more torque for a given cordless voltage level than any regular drill. 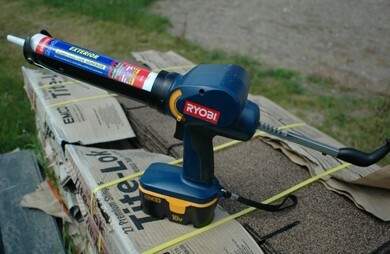 A good 12-volt impact driver can drive 4-inch deck screws that would bog down a drill of the same size. My current favourites are the DeWALT 14.4 volt model, the Hitachi 12 volt and the Ridgid 14.4 volt driver. On the downside, impact drivers aren’t good for drilling because they don’t have a conventional chuck. Instead, they grab the hex-shaped shank on driver bits, holding them in place with a spring-loaded locking ring. And while you can get drill bits with this shank built in, they’re expensive and hard to find. If you can afford only one drill-type tool, get a drill driver. 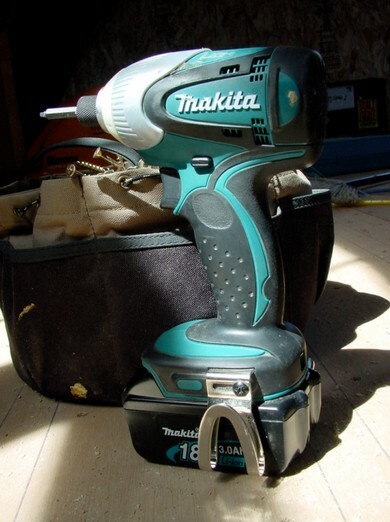 If you can afford two, then an impact driver will boost your productivity a lot. When 24-volt hand-held circular saws hit the market early this century, something significant happened. This marked the moment when it became completely practical to frame an entire house cordlessly. Today’s 24-volt saws pack all the power you need to crosscut and rip 2x lumber in every situation, and they do it with a light tool weight and no power cord to trip you up. You’ll find 24-volt really is the minimum if you want to operate entirely without a corded saw in the background. Eighteen-volt machines are fine as supplemental tools for those awkward cuts where a cord would be an especially big hassle. When you’re choosing a cordless saw, pay attention to blade diameter. 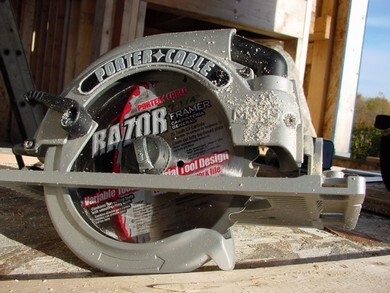 The best models spin 7 1/4-inch blades, just like typical cordless models, though some can only handle 6 1/2” blades. Full-size blades allow you to do all the same bevel cuts you expect to do with a corded tool, boosting tool versatility in the process. Makita and Hitachi both make 7 1/4”, 24-volt cordless saws that impress me. Magnesium is a metal that’s making its way into more and more power tools, and the reason is weight. Magnesium is light and strong, making a noticeable difference in how your arm feels at the end of the day. And as it turns out, one of the most significant uses of magnesium is in corded circular saws. The power-to-weight ratio of the best magnesium circ saws is high and rising. The nicest magnesium corded saw I’ve used so far is made by Porter Cable. The only problem with power nailers is the hose than dangles from conventional air-driven models. Even a short one is heavier that the tool itself, and is also subject to kinks, twists, cracks and freeze-ups in cold weather. That’s why hoseless nailers are so attractive. They do all the work of pneumatic models (even framing nailers), without the long and troublesome tail. Right now you’ll find two completely different types of hoseless nailers: fuel driven and battery powered. Both categories include models that keep up in the toughest professional situations. Paslode is the king of fuel-powered cordless nailers. No other manufacturer comes close to the variety and quality of their fuel-powered units. A cylindrical canister holds a combustible gas (something like butane) that feeds into the combustion chamber of the tool. A small, rechargeable battery ignites the fuel when you pull the trigger while also powering an on-board fan that removes the exhaust gases. The Paslode framing model drives nails as long as 3 1/4” into the toughest knots , though cold weather can get in the way. When temperatures drop much below –10C, the gas becomes reluctant to ignite, causing misfires. Each disposable fuel canister drives about 1000 nails and costs less than $10. When it comes to battery powered finishing nailers, DeWALT is my current favourite. The 18-volt, 16-gauge model drives hundreds of nails on a charge, offers very effective depth-of-nail control and an on-board light that shines right on the nailing zone. This model is certainly heavier than any air-powered finishing nailer, but makes up for that wherever a compressor is a pain to transport. 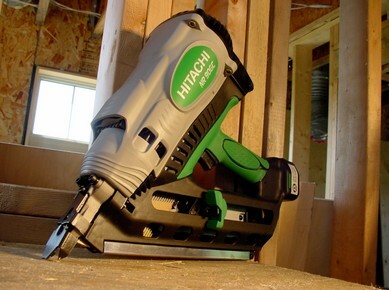 Regardless of which finishing nailer you choose, understand that 16-gauge models are more versatile than 18-gauge ones. The slightly thicker 16-gauge nail is available as long as 2 1/2-inch, compared with 2-inch for the 18-gauge. That half an inch sounds small, but it makes all the difference when setting door jambs and large trim. The only advantage of 18-gauge nailers is the slightly smaller hole they leave behind in wood. Adhesives and sealants are one of the reasons new homes are tighter and more squeak-free than anything else ever built. But if the prospect of pumping three of four dozen tubes of glues and caulks into every new home gives you a hand cramp just thinking about it, you need to know about power caulking guns. You’ll find a handful of models on the market. I expect more will appear over the next three or four years. There are pneumatic versions that use low-pressure compressed air to drive caulking and adhesives out of the tube without a plunger; models that operate in partnership with a cordless drill; and self-contained power caulking guns with their own battery. Ryobi makes a cordless version that works flawlessly and costs less than $100. Tools are like any investment. Wide choices yield good gains. So whether you build for profit or passion, do your homework and pay the price. You’ll never doubt the fact that good tools are worth it because they really do deliver more value than they cost in the long run. The world is about to see a new wave of cordless tool advancement thanks to a Canadian firm in British Columbia. E-One Moli Energy Ltd. of Maple Ridge, B.C. is the first company to create lithium-ion batteries that can handle the high drain demands of cordless power tools. Until now lithium-ion batteries were limited to use in cell phones, computers, digital cameras and other low-drain items. Milwaukee is the first to market with lithium-ion tools in their new 28-volt, V-28 line. I know from experience that these tools are similar in weight to 18-volt models, while delivering more power. The technology behind high-drain lithium-ion batteries isn’t proprietary, so we’ll probably be seeing other tool companies bring similar products to market in the next year or two.